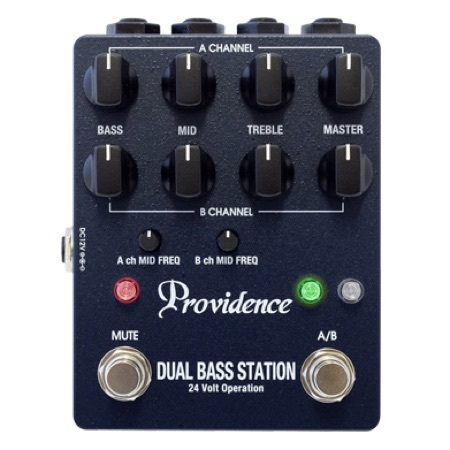 The Dual Bass Station Bass Preamp features two inputs (A/B) and independent EQ-Masters for each input. When only “IN-A” is used, two different presets can be used by switching channels from A to B. The EQ's curved volume is specifically designed for linearity and usability. 7●Weight: Approx 370 g, not incl. AC adaptor.